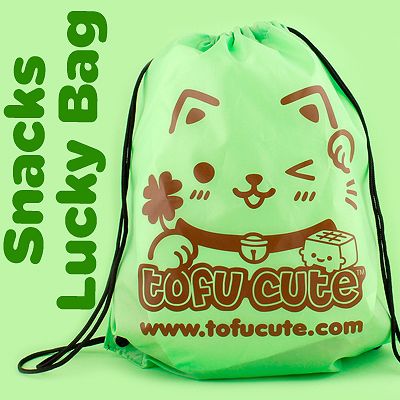 This large tote bag is very strong and practical for carrying your shopping or work/school/college/university stuff, whilst injecting a bit of kawaii into your everyday life! 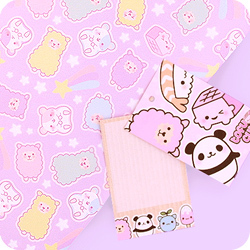 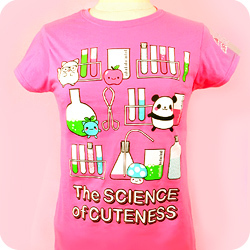 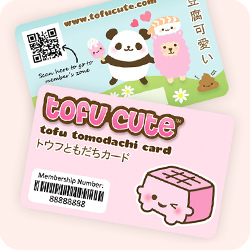 It features the happy pink Tofu Cute mascot on one side, and the Tofu Cute logo with a montage of kawaii characters on the other side, including milk carton, panda, popsicle, sushi, seedling, doughnut and more. 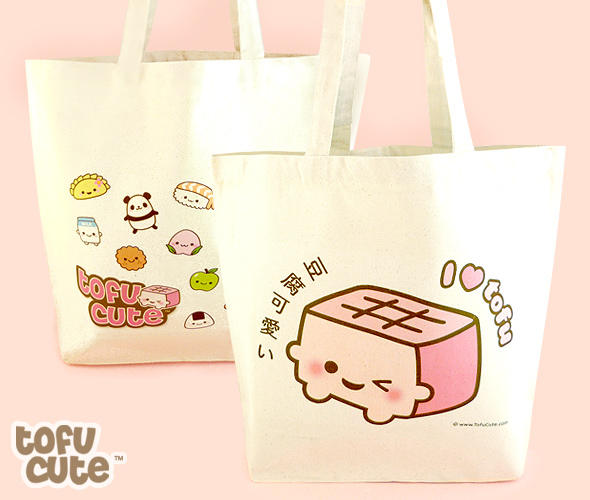 You'll see little specks of natural grain in the fabric, as Tofu Cute shopping bags are made from ethically produced 100% unbleached cotton. 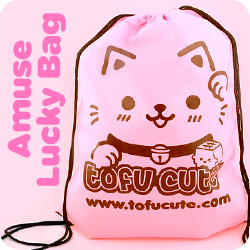 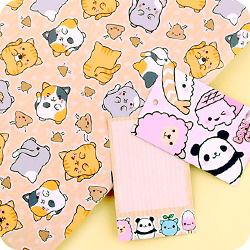 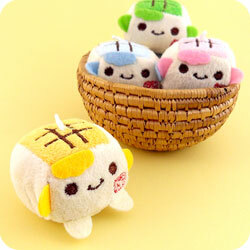 Carry a bit of Tofu Cute goodness around with you! 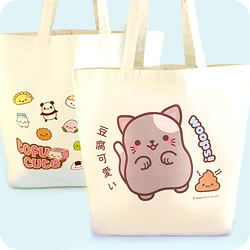 This large tote bag is very strong and practical for carrying your shopping or work/school/college/university stuff, whilst injecting a bit of kawaii into your everyday life! 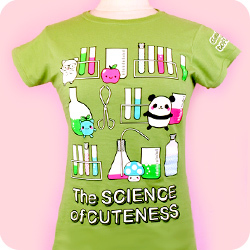 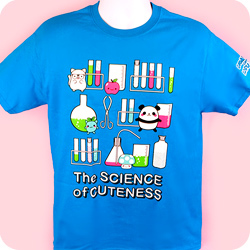 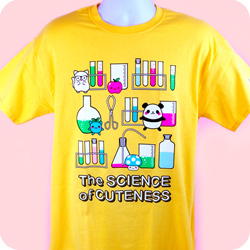 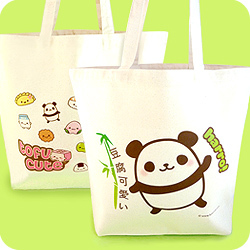 It features Tofu Cute's Panda-chan with bamboo on one side, and the Tofu Cute logo with a montage of kawaii characters on the other side, including milk carton, fried egg, popsicle, sushi, seedling, doughnut and more. 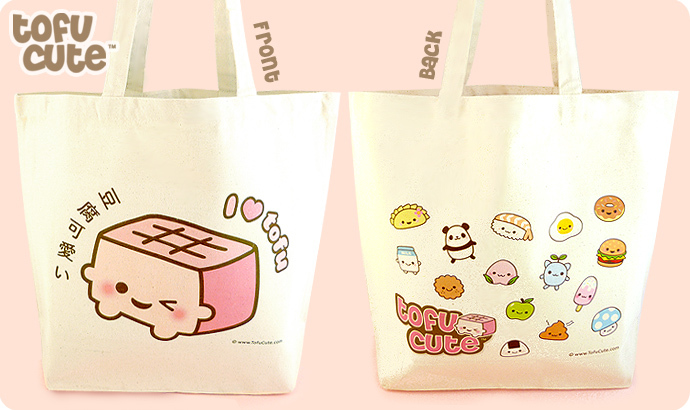 You'll see little specks of natural grain in the fabric, as Tofu Cute shopping bags are made from ethically produced 100% unbleached cotton. 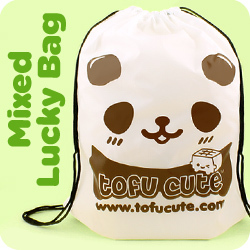 Carry a bit of Tofu Cute goodness around with you!